Get a Great Deal on Used Sub-Compact GLOCK Pistols at Gunz Inc! | Gunz Inc.
Get a Great Deal on Used Sub-Compact GLOCK Pistols at Gunz Inc! Known as the “BABY GLOCK,” the GLOCK 26 in 9x19mm has been the most sought-after concealed carry option since its release in 1994 – a market once dominated by the 5-round snubnose revolver. The magazine capacity of 10 rounds is standard, and the highly accurate firing characteristics explain why the G26 is the mainstay backup option among security personnel and agencies worldwide. Small, light, accurate, powerful: all accurately describe the GLOCK 27. With its comfortable dimensions and the proven advantages of the GLOCK pistol family, the G27 is popular with police, both on and off duty. That’s why so many law enforcement agencies issue this subcompact pistol, in .40 caliber, as their official backup pistol. 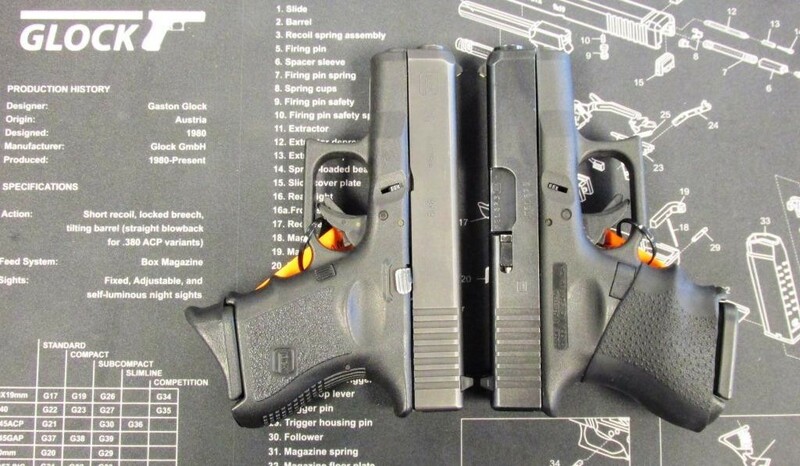 Gunz Inc. in Valley Station has both of these used pistols in good condition right now for only $449.99! The .40 G27 even includes an aftermarket grip! Stop in and get your next carry piece today!